Practicing martial arts can be an outstanding way to learn values and exercise discipline. Plenty of martial arts studios across the country are taking martial arts one step further. They are teaching students to give back to their communities. A martial arts studio in Nashua, New Hampshire, organized a gift drive for less-fortunate children in the area, according to the Merrimack Journal. The studio completed its annual toy drive just before the Christmas holiday by donating more than 50 toys and gift cards to the Nashua Children’s Home. Students and instructors from Independent Karate School collected and helped distribute gifts to the home to do their part to serve the community. The charity event helped serve as a reminder of the values you learn through martial arts. Leaders from the New Jersey Martial Arts Academy wanted to do something thoughtful in the spirit of the holidays, and they thought of people’s pet companions. Students at the martial arts studio collected more than 1,000 pounds of pet food for cats and dogs alike. Additionally, the group stockpiled treats, toys, leashes, blankets, collars and crates. They also received about $300 in cash donations for their cause! This doesn’t mark the first time the martial arts studio has given back to its community. They’ve helped with town clean-ups, blood drives and building projects in the past, too. 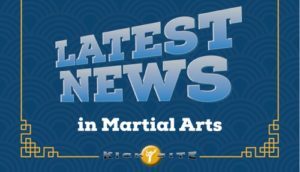 In Boise, Idaho, another martial arts studio is doing its part to give back to the community, according to Boise CBS affiliate KBOI. Brandon Shuey and his brother are martial arts instructors who set up a program for the community’s at-risk youth. Instead of making it difficult for underprivileged kids to be part of their classes, they developed a scholarship program called “Champion a Child,” to cover the costs of martial arts training for kids who can’t afford it. Brandon Shuey attributes his desire to help his own experiences growing up in a low-income household. “My life, growing up, I’ve had trials and tribulations, and martial arts literally saved my life,” Shuey told the source.